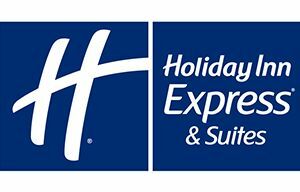 Your convenient destination for enjoying the best of Fort Lauderdale begins at Holiday Inn Express. Stay in the heart of Fort Lauderdale and enjoy access to the city’s finest attractions. Located only minutes from the airport, cruise ports and top shopping, dining and local businesses, enjoy easy access and a convenient location - along with plenty of comforts and luxuries to keep you comfy and connected. A tasty start to the day awaits with our hot Express Start breakfast bar. Indulge in an array of favorites, from freshly-baked cinnamon rolls to eggs and healthy alternatives, like fresh fruit cups, there's something for everyone here. Enjoy your breakfast with a fresh-brewed cup of 100% Arabica bean coffee.